Today, the people of Nabi Salih marched against Israeli soldiers who have held the village under siege since Saturday. The Israeli military has declared the village a closed military zone, and opened a checkpoint at the main entrance, coming from Ramallah. 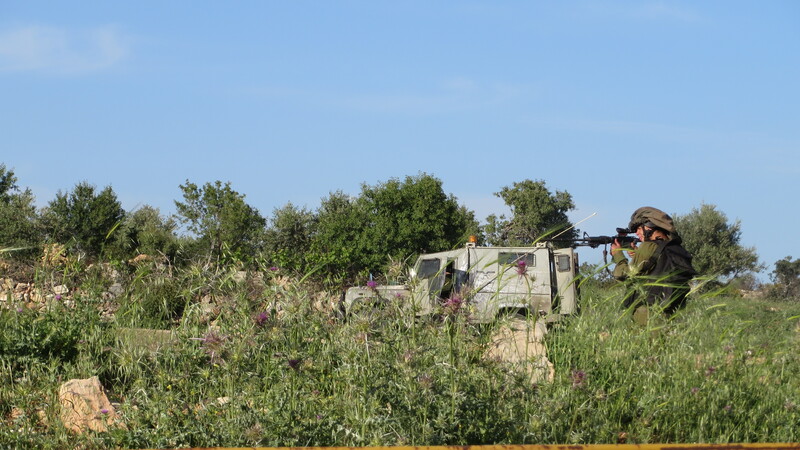 Several villagers have been beaten by the soldiers since the checkpoint was opened, and one man suffered from shrapnel wounds to the chest and face. He has since undergone surgery, and is recovering. Members of the IWPS house team joined the village in a march to the entrance of the village to demand that the checkpoint be dismantled. 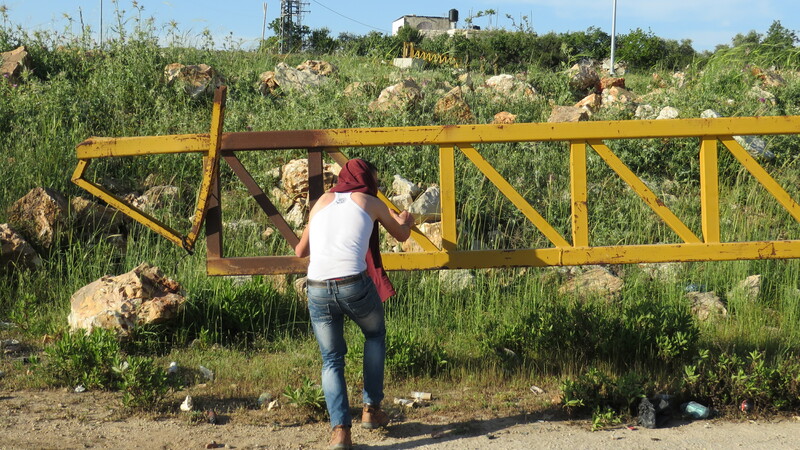 Israeli soldiers shot tear gas and sound grenades at the marchers, but ultimately the villagers were able to open and partially disable the gate used to shut off the main road. The soldiers responded with some rubber bullets, an excessive number of stun grenades, and one arrest. During the protest, a settler from the nearby illegal settlement of Halamish walked into the middle of the crowd of villagers and started to take pictures of the demonstrators, presumably for his own entertainment. The leaders of the village were able to reach an arrangement with the Israeli military. The villagers would return to their homes peacefully on the condition that the checkpoint would be abandoned and the man who was arrested would be released. The main road through Nabi Salih is now free and clear, but the prisoner’s release has not yet been confirmed. 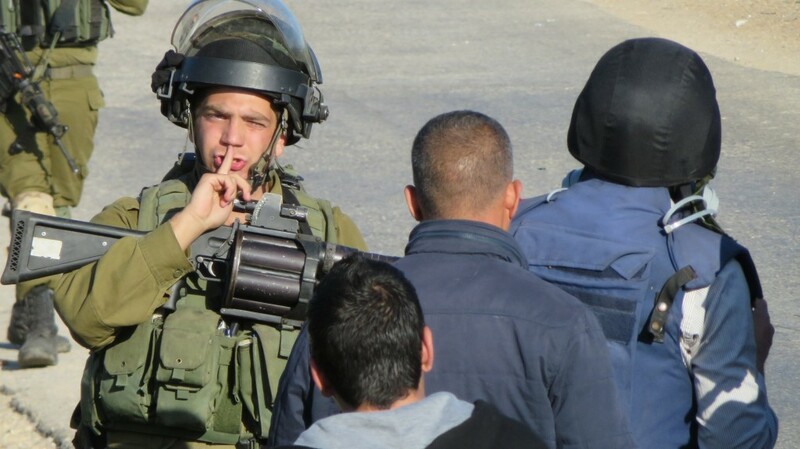 An Israeli soldier attempting to silence the demonstrators. 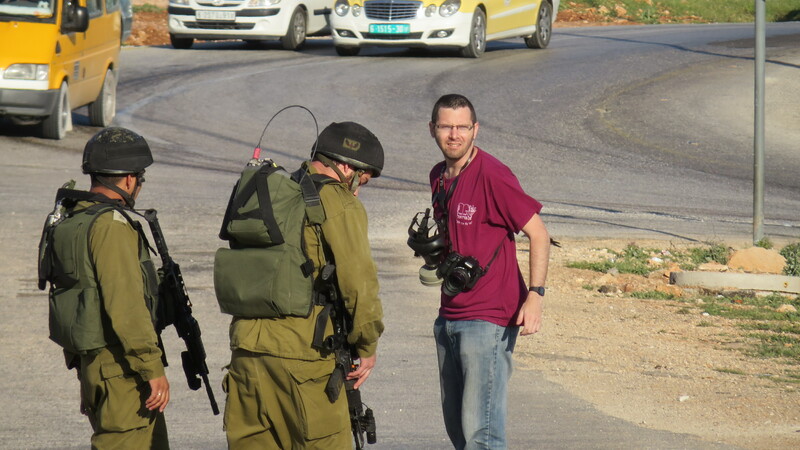 A settler from the illegal settlement of Halamish comes to take pictures, and taunt the protestors. Aiming a rifle directly at unarmed civilians. 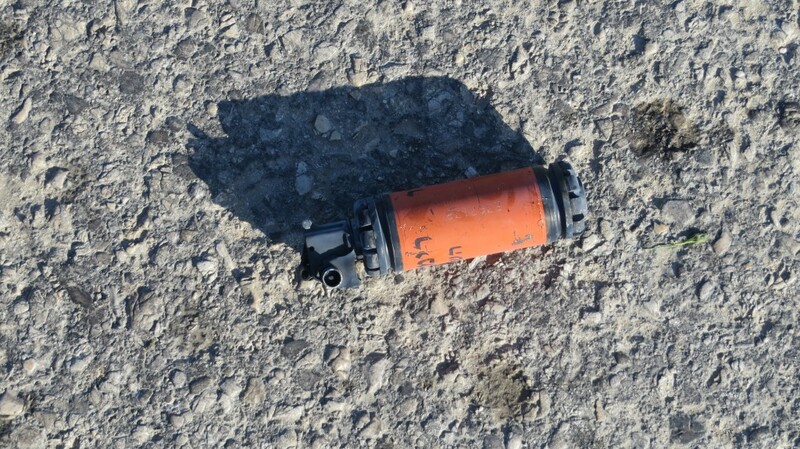 Israeli own rules demand that soldiers shoot tear gas in the air, and rubber-coated steel bullets to the lower part of the body – not at eye-level. 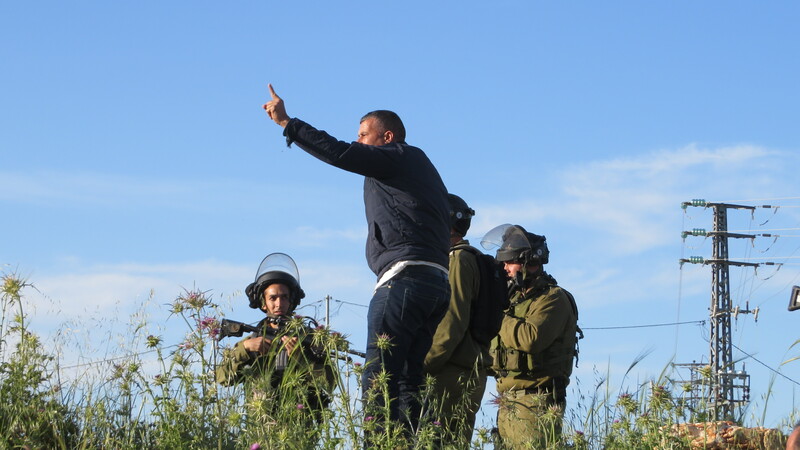 A man from Nabi Salih reprimands the soldiers for shooting rubber bullets at children.